When it comes to nostalgia, those of us who are a certain age are undoubtedly a little too attached to the Nintendo Game Boy. Actually, scratch that – we’re absolutely the right amount of attached to it. It was amazing, even if it did have a battery life that seemed to always amount to nothing and infamously was only available with that green screen. The Game Boy was a thing of beauty and brought us some of the best games ever, even today. So the thought of having one with us at all times is something that truly tugs on the heart strings, and that’s exactly what one iPhone case maker is aiming for. 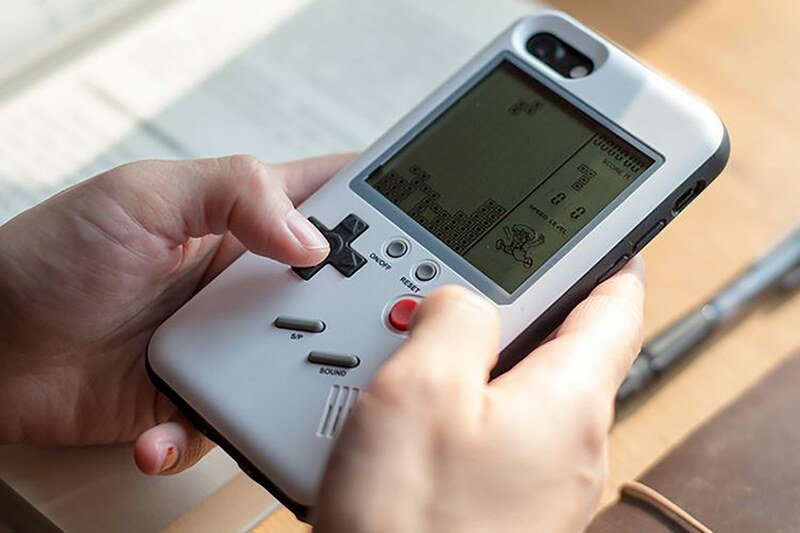 Available as a case that snaps onto the rear of an iPhone ranging from the iPhone 6 all the way to the iPhone X, this case for iPhone is a fully functioning Game Boy wannabe of sorts (at least when it comes to looks!) and comes pre-loaded with multiple classic games. It also has the familiar control layout that we all spent hours hunched over when we were kids. The retro classic games included are some of the big titles we all enjoyed back in the day, including Tetris, Formula One Racing, Snake and Block, among others. It is, however, whether you are limited to the built-in classic games with which this thing ships or whether others can be added later, we would guess it’s the former. 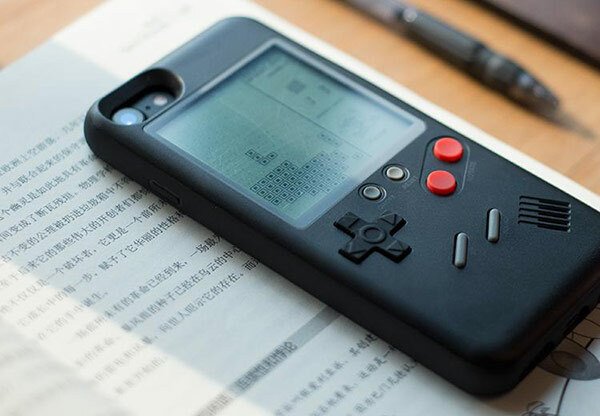 Normally priced at $49.95 to $54.95, this case comes in both black and white options and does not obstruct the use of the iPhone it covers, or its ports and right now, you can pick one up for the discounted price of $34.95 to $39.95 depending on the iPhone model you choose to get it for. Best of all, if you use promo code GBIRP15OFF at check out, you can get further 15% discount on it. At that price, it’s a bargain as far as we’re concerned – even if you only play Tetris! You can get the case from Chytah’s here. You may wanna hurry though as the discount promo code listed above is valid for first 100 orders only! it’s just a brick game, not a game boy. Its not a gameboy, its just looks like a gameboy dont be fooled into thinking thats what you’re getting. haha, you deleted my comment because this is an old story and its also not a gameboy as you describe only a gameboy looking case. It’s not a game boy it’s a basic brick game. This also isn’t the first time you reported it this way. Stop misleading your readers.